In this sequel to the earth-shattering Batman: Cataclysm, in which Gotham City was all but levelled by a vast earthquake, comes this next awesome aftershock for the city. 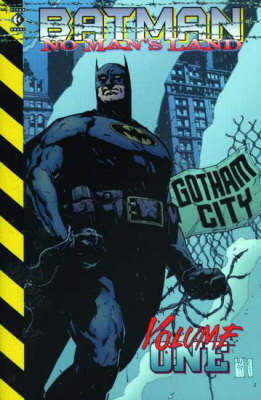 Abandoned by the United States government, sealed off from the outside world, the devastated Gotham City becomes a wasteland left to be claimed by the criminals and madmen, with only Batman, bereft of his Batcave, his crimefighting equipment and many of his allies, prepared to stand and fight for the city he swore to protect. A major Batman "event" storyline, in the tradition of Batman: Knightfall.